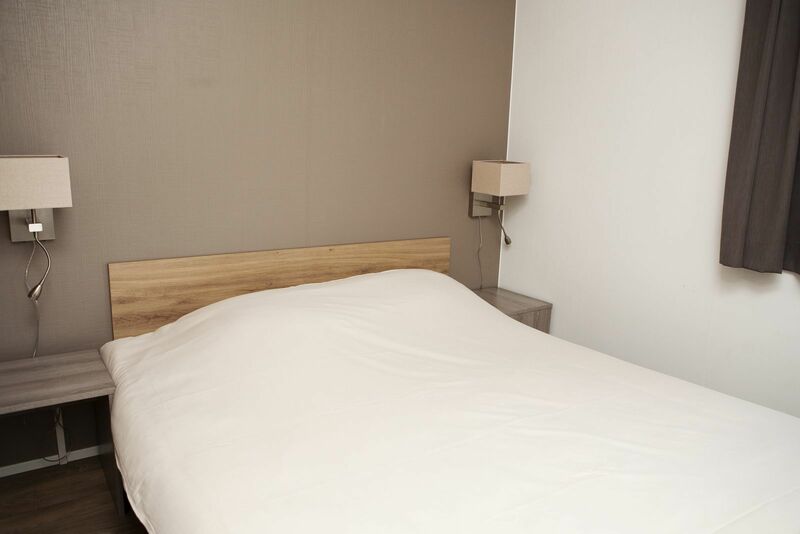 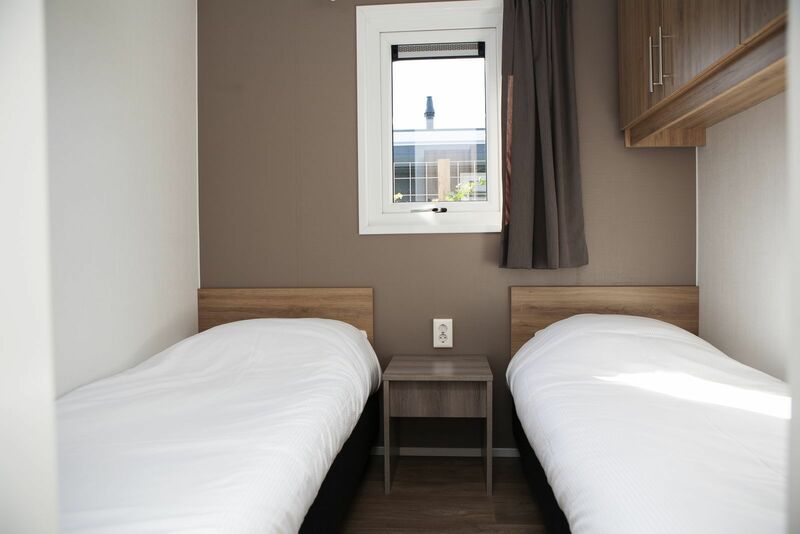 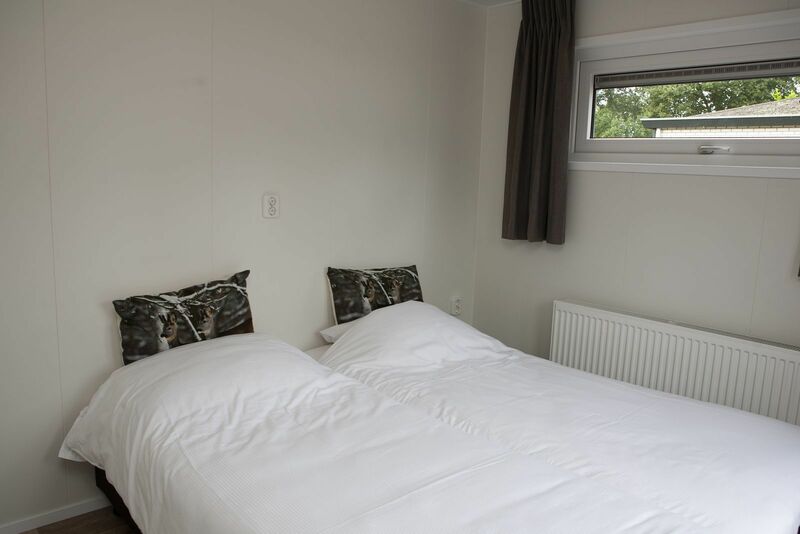 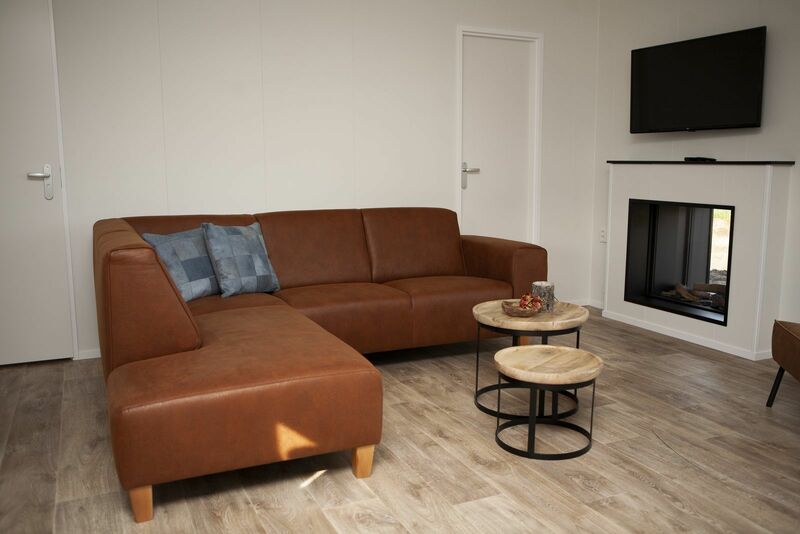 New accommodations at De Boshoek! 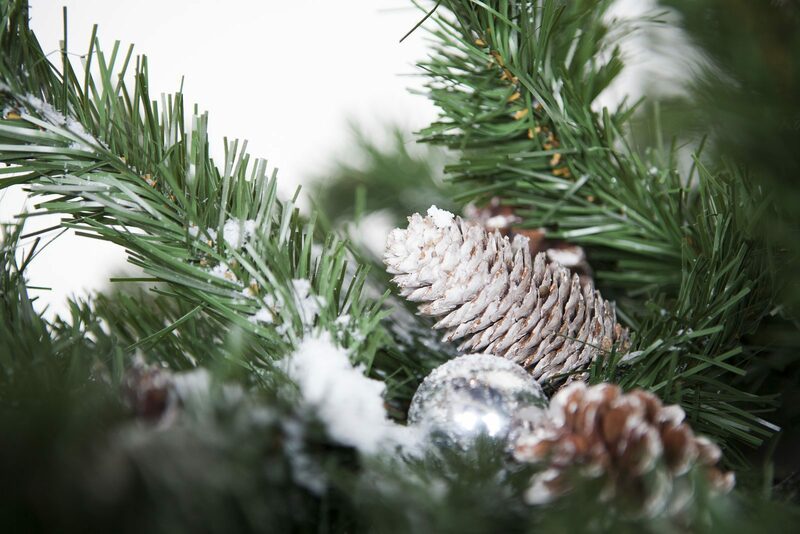 The new year has only just started. 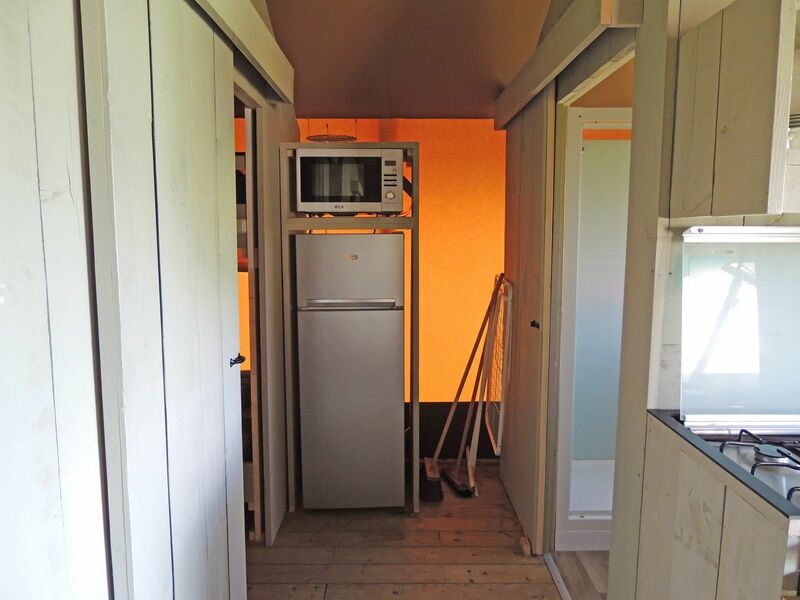 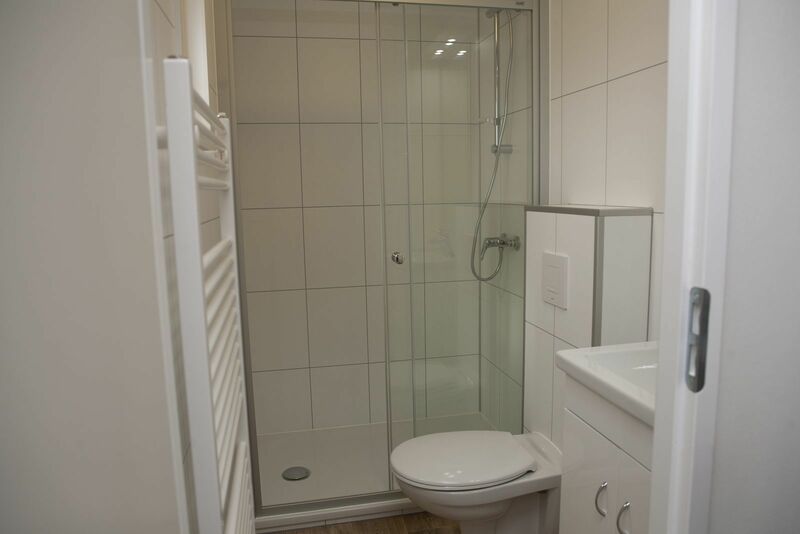 But we can enthusiastically announce the upcoming opening of three new accommodations! 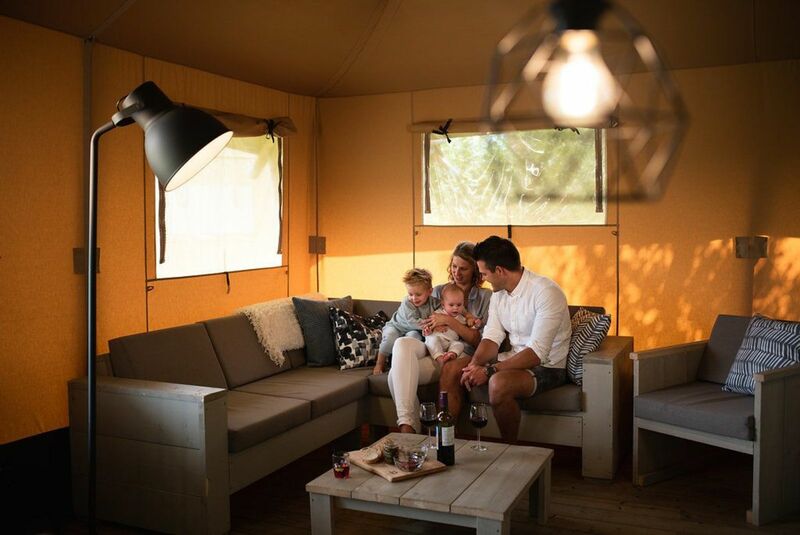 Our accommodation offer currently consists of camping, hotel rooms, bungalows, glamping, group accommodations and chalets. 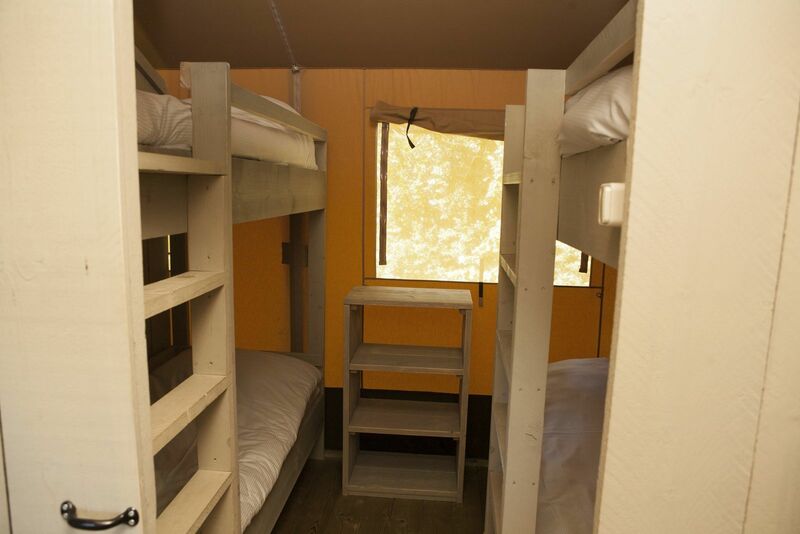 We'll be expanding this with three completely new accommodations! 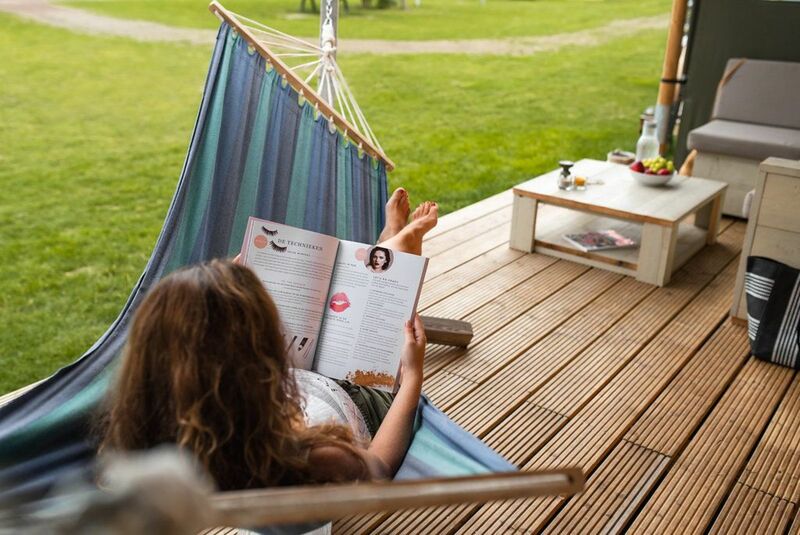 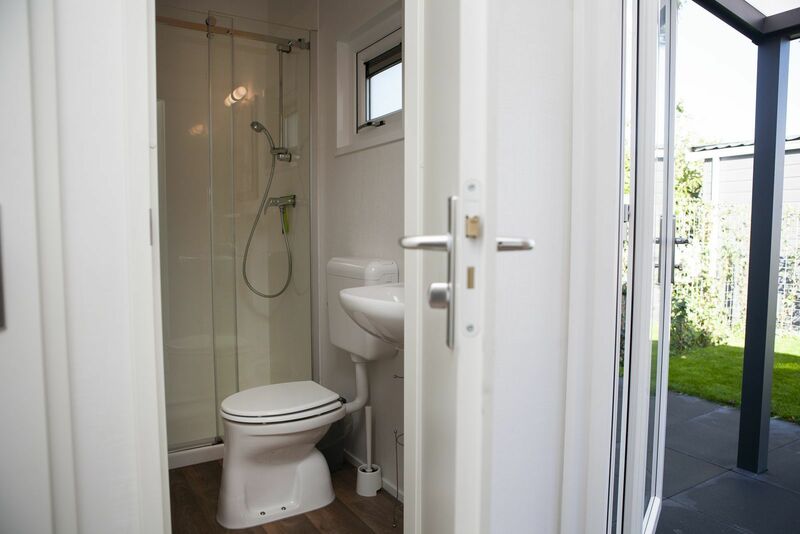 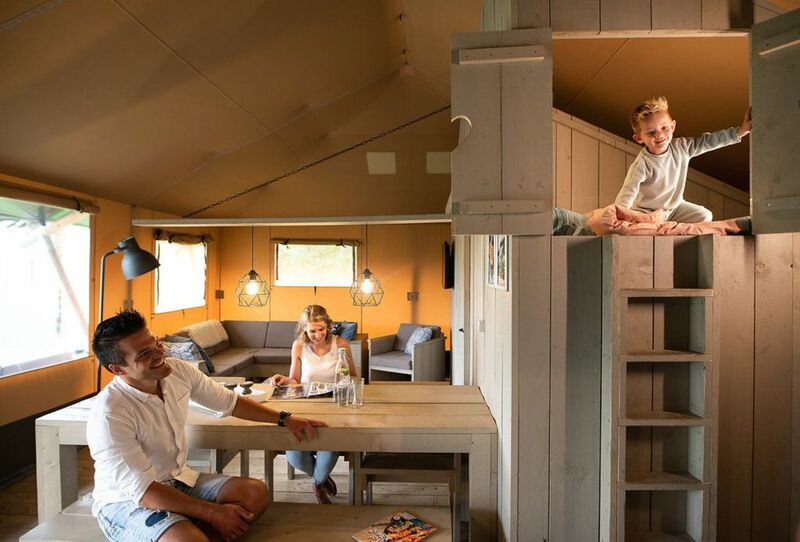 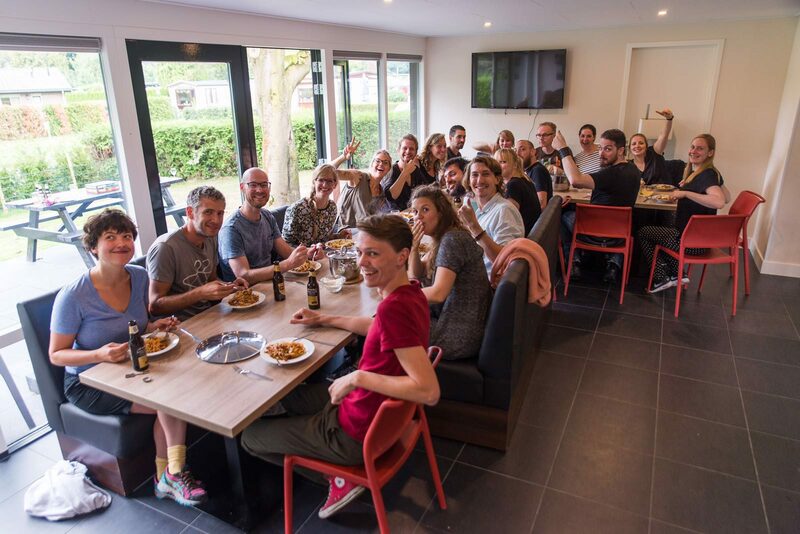 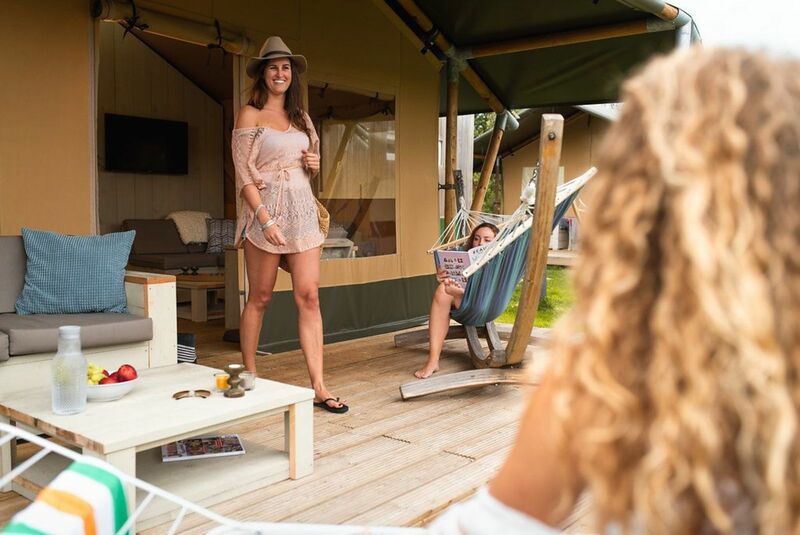 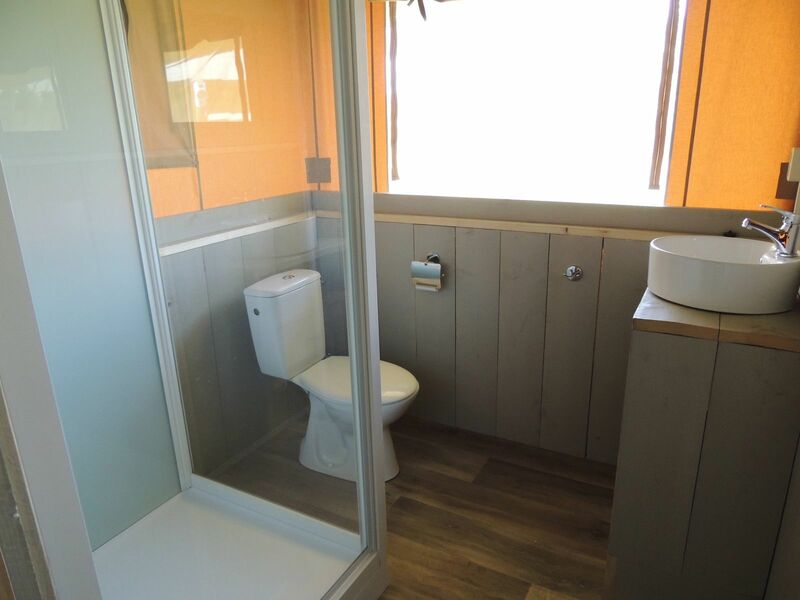 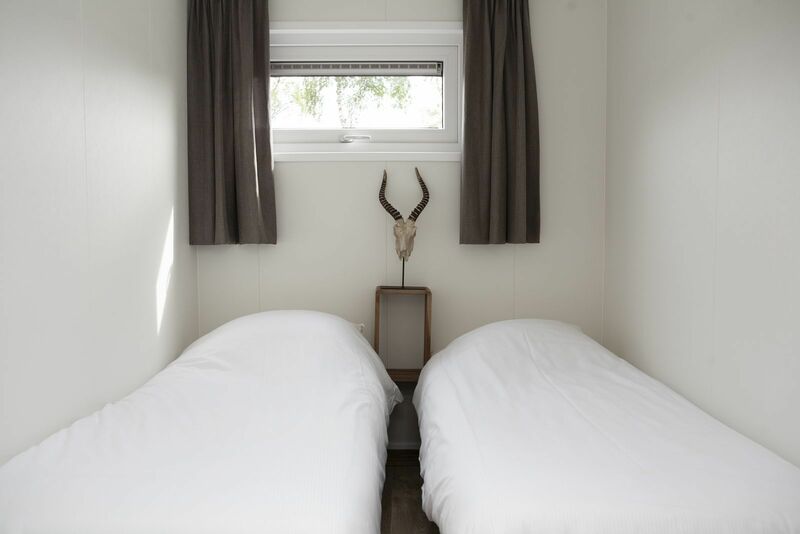 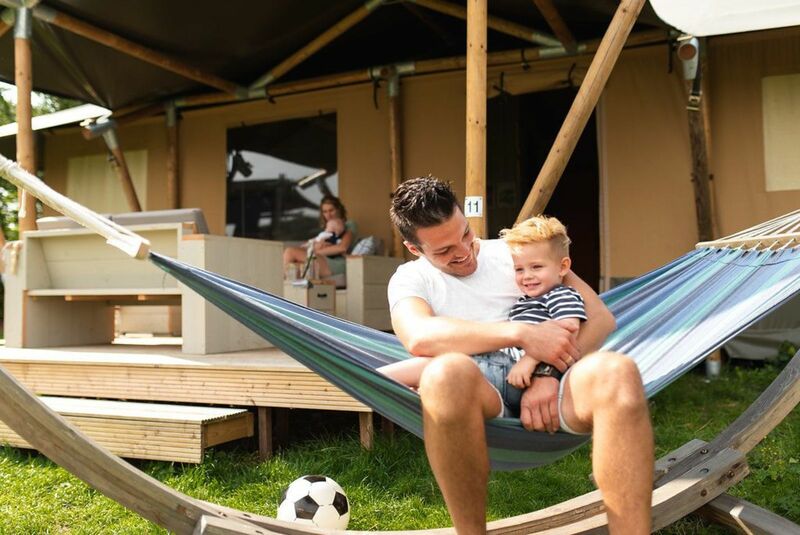 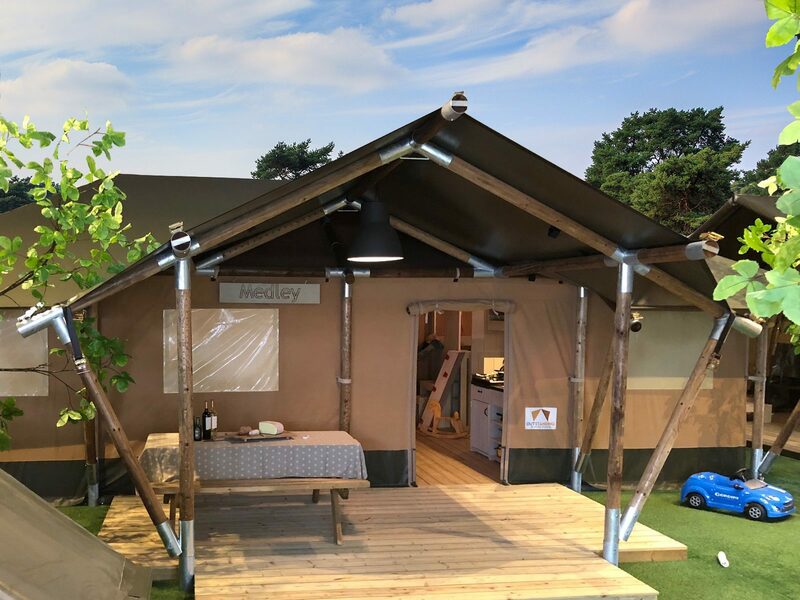 Go on an extra luxurious camping holiday in the 8 person Safari House on the Veluwe, with comfortable beds and a bathroom! 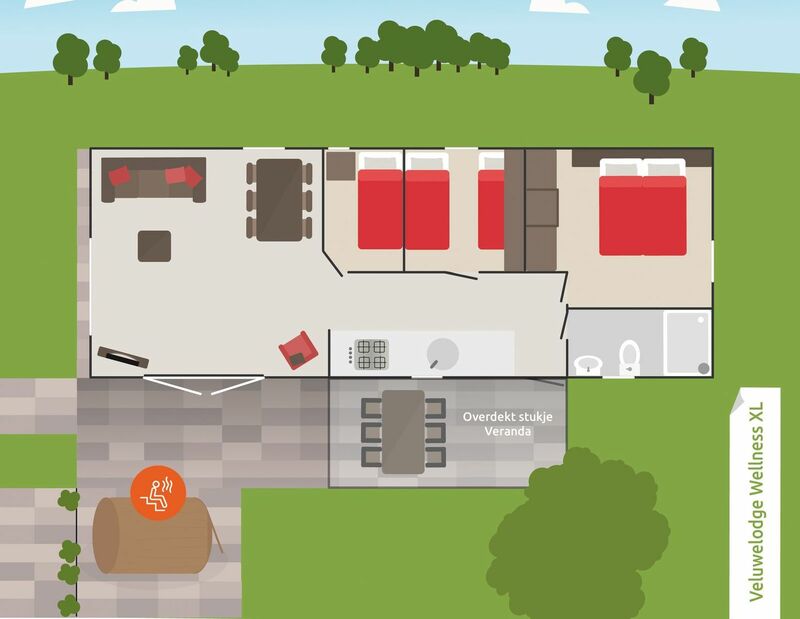 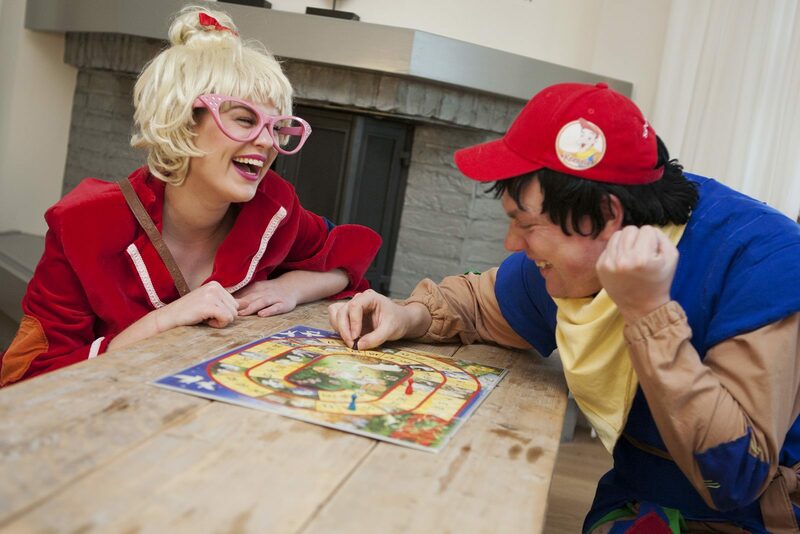 Go ahead and plan your weekend away at the Veluwe, because the diversity of our offer has increased! 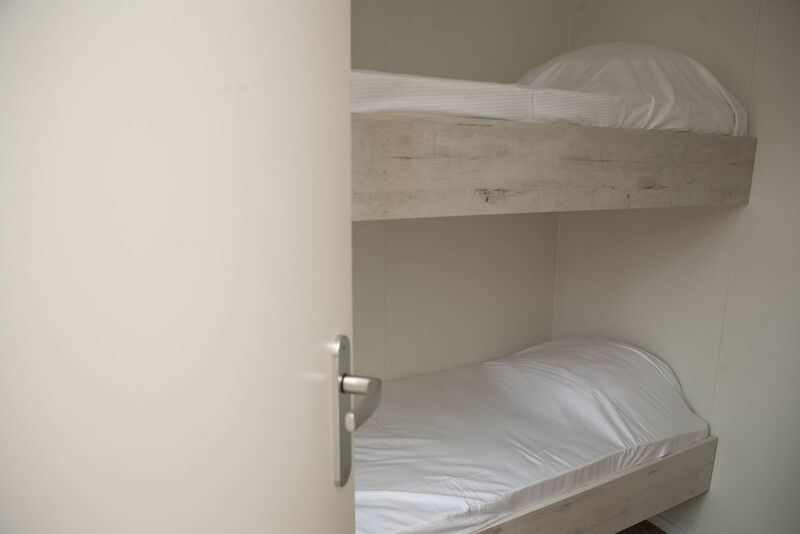 This makes the offer of accommodations even more extensive. 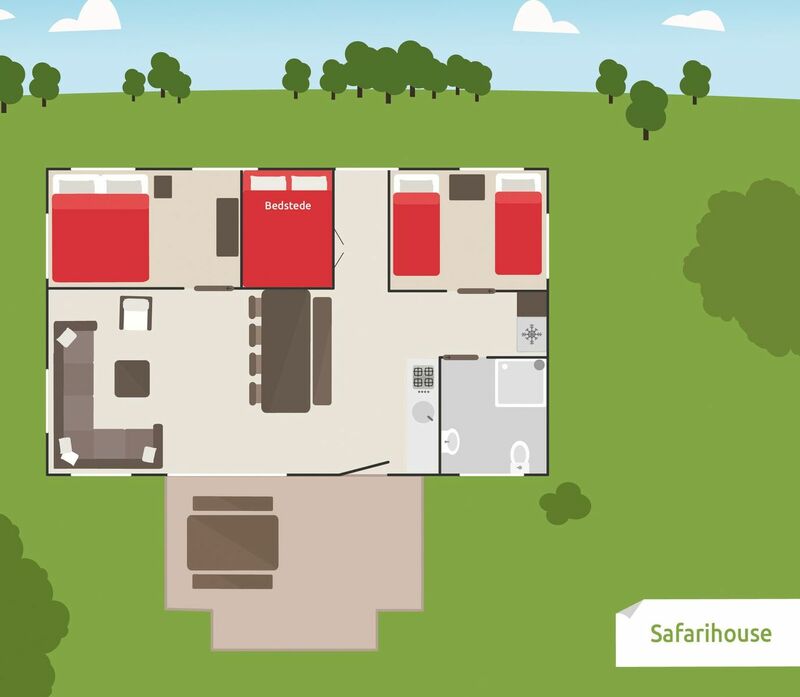 A stay at the Safari House means true luxury! 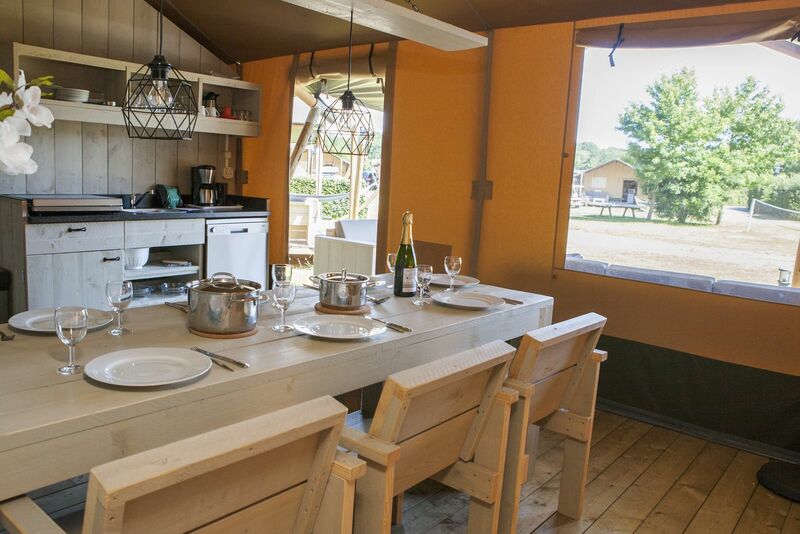 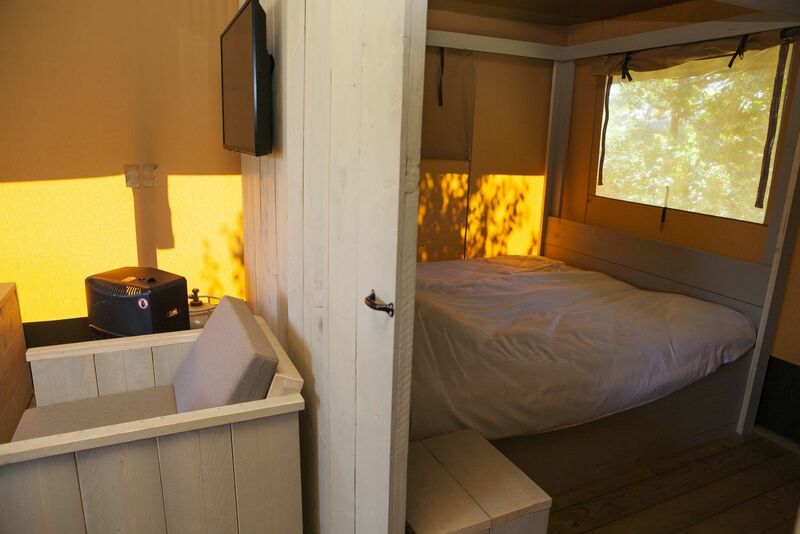 This Safari Tent features comfortable beds, a veranda with a view of the camping field and even a bathroom! 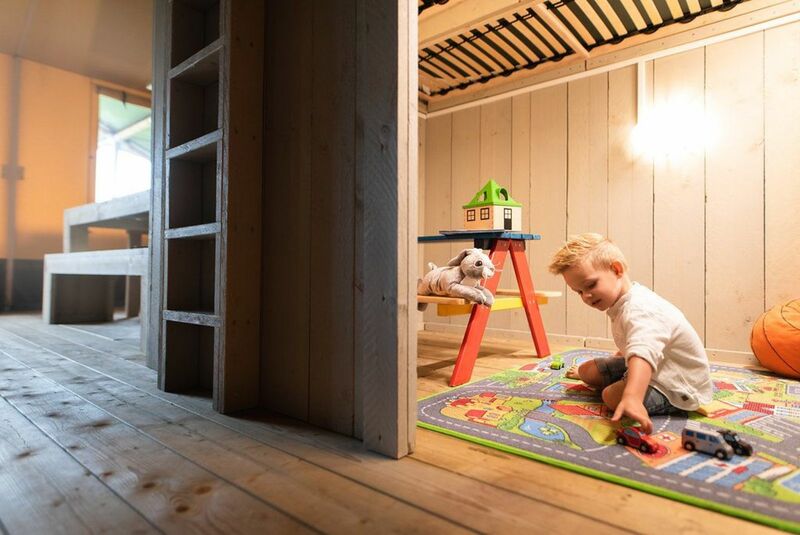 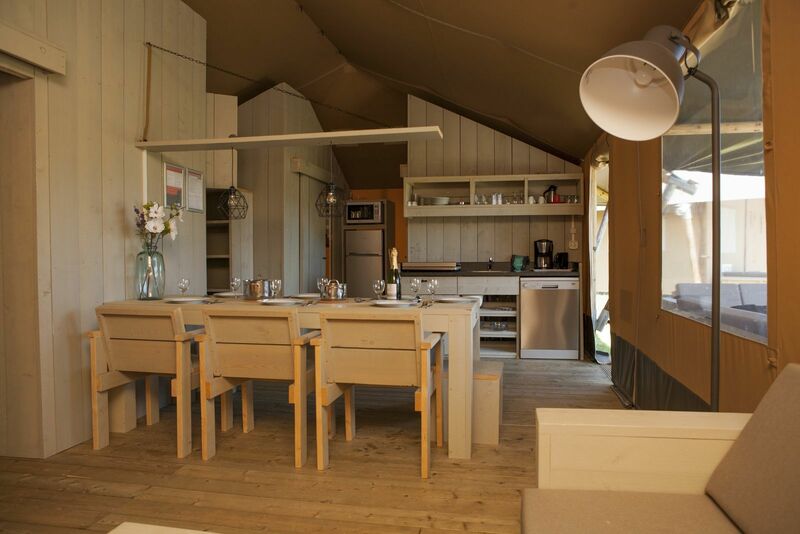 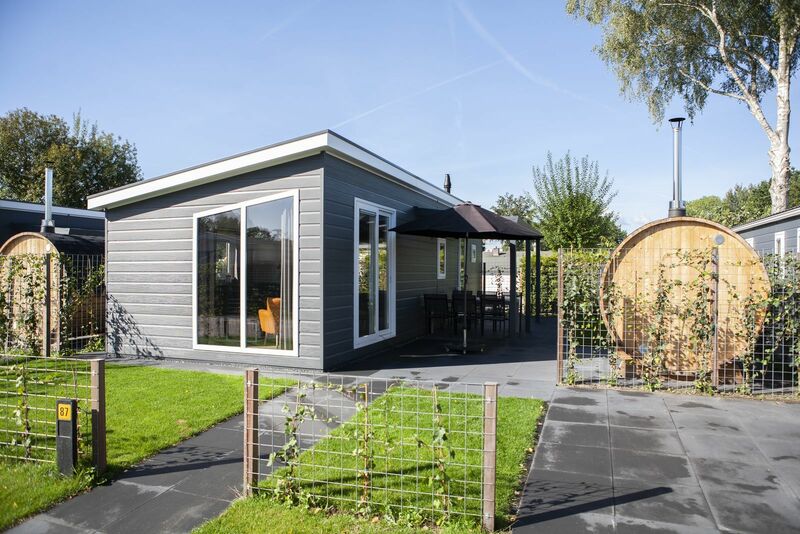 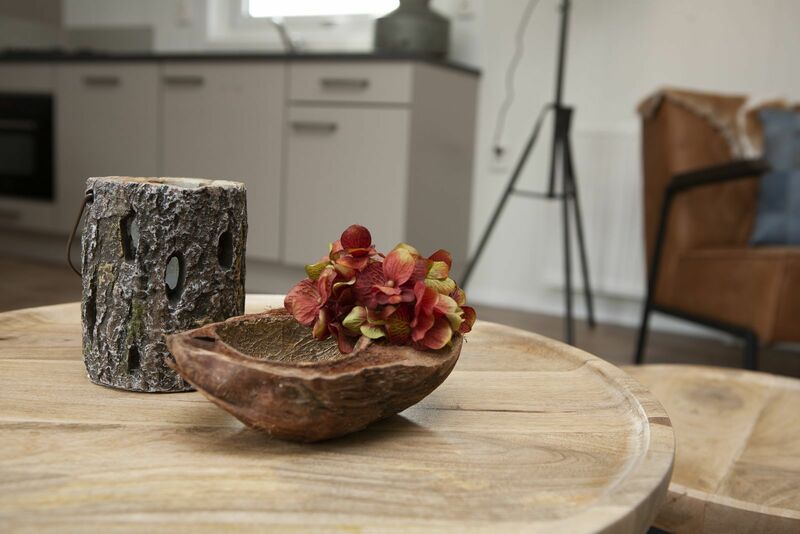 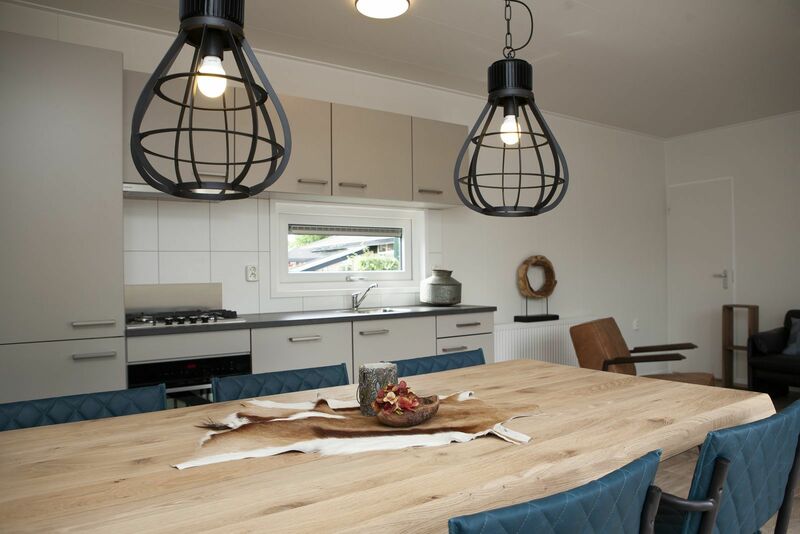 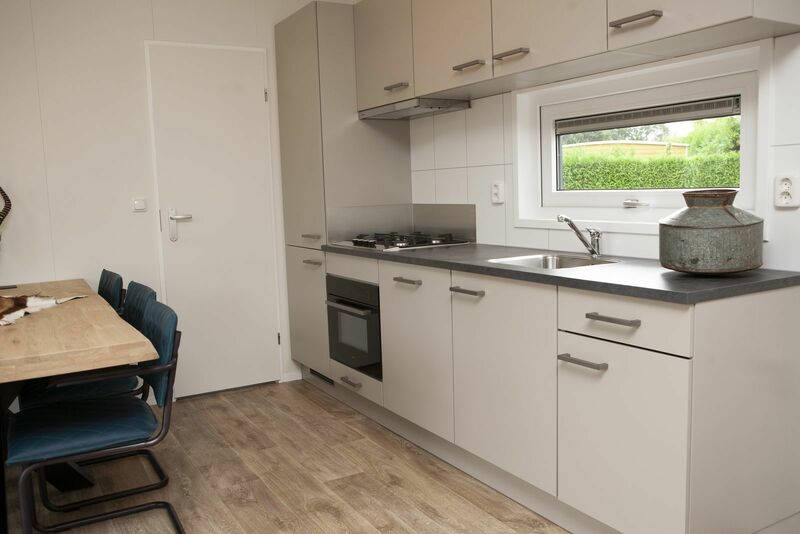 The Veluwe Lodge XL and the Veluwe Villa are luxurious additions to our offer of chalets. 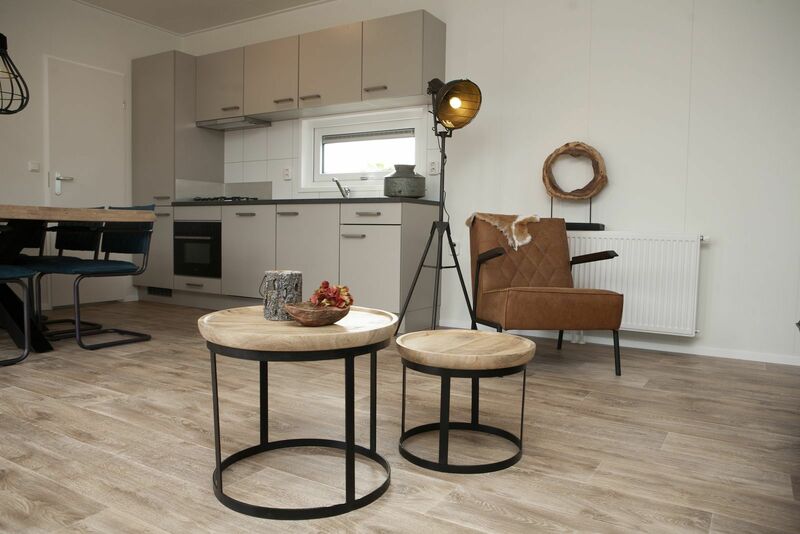 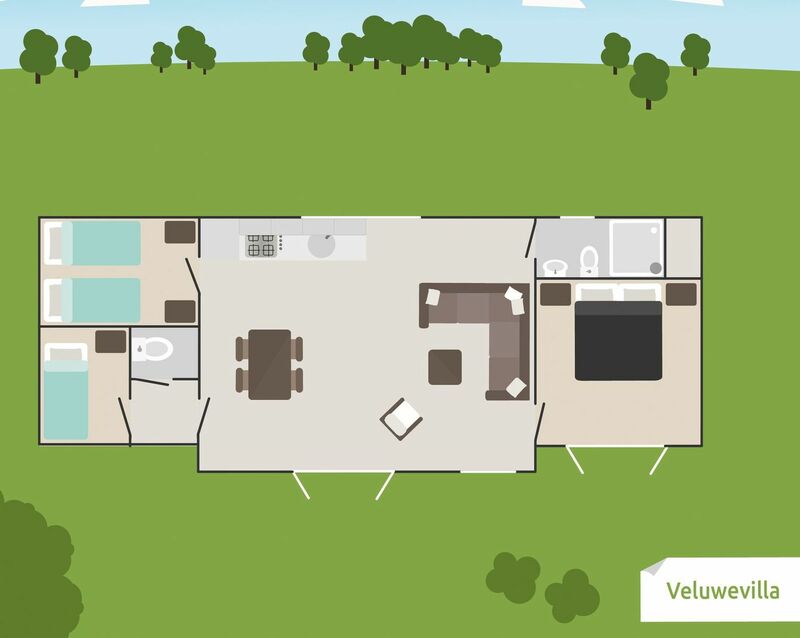 The stylish and sleek Veluwe Villa will be placed at the center of the park, where we're planning a beautiful square with new chalets: the Veluwe Square. 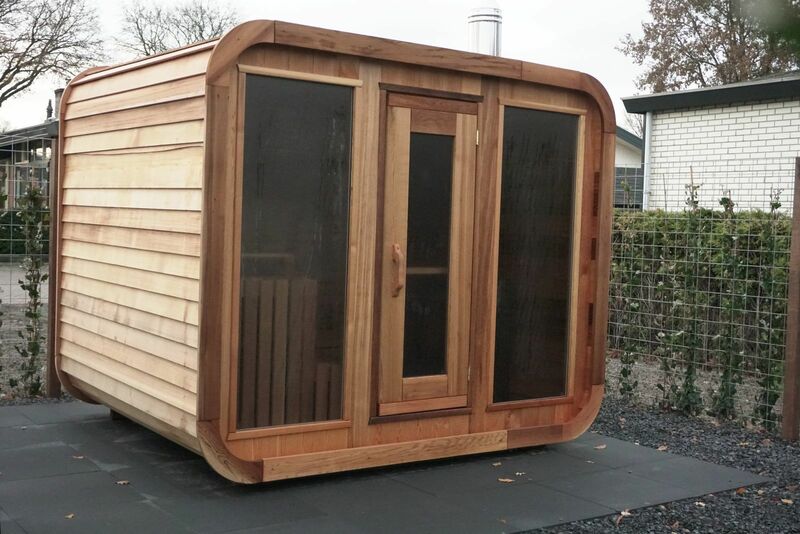 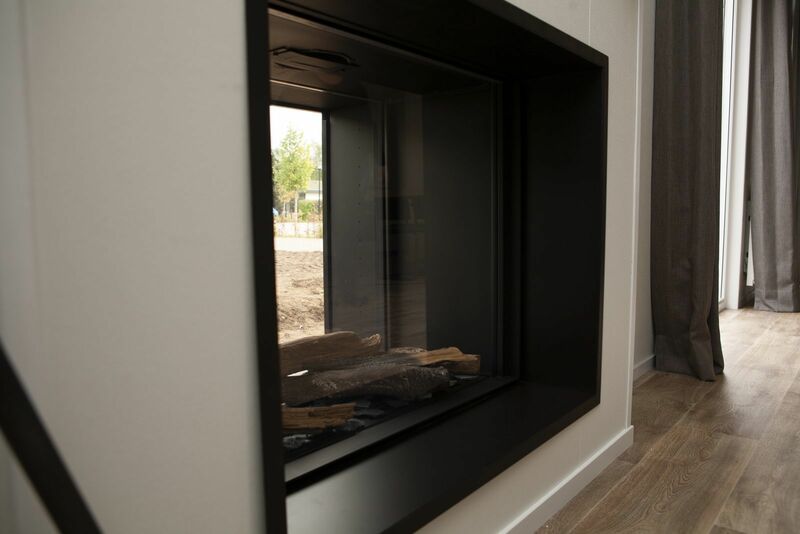 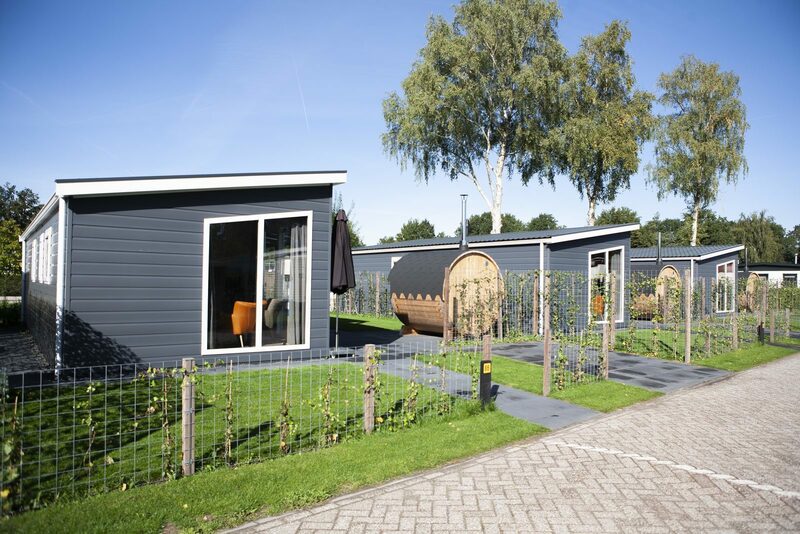 The Veluwe Lodge XL is the large edition of the Veluwe Lodge, but with a sleeker appearance and a wood-fired sauna for extra luxury and comfort during your stay.